An audio mixer is a device that takes audio signals from various inputs and channels them into one harmonious sound. It allows you to control various aspects of the music such as volume, tone, and timbre. It can be used on performances done live or for recording songs in a studio. Audio mixers have truly come of age, from the traditional analog mixers to the new digital mixers that can control everything in music production. Digital mixers offer versatility and lots of new features all by pressing a few buttons. However, analog mixers still have features that are enjoyed by both young and old alike. On the other hand, pressing physical buttons when adjusting the sound and other aspects can make you look cool. Digital mixers also allow you to save on disk mixes you have performed elsewhere and reuse them. The kind of mixer you’ll need will depend on a number of factors that may include the number of input and output terminals you need, as well as the venue you want to use it in. Below, are the top 10 audio mixers that offer the best quality on the market. 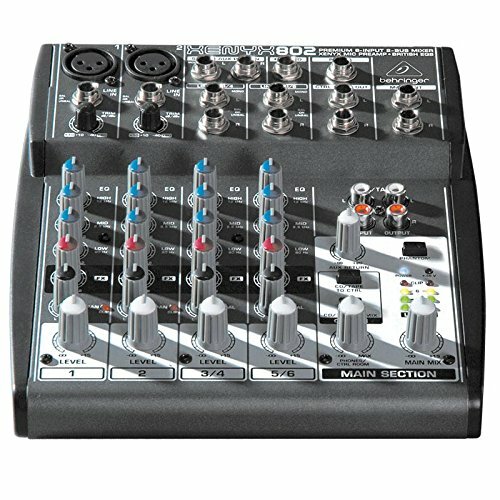 The Behringer Xenyx 802 is a small compact audio mixer that is great for people just starting out. 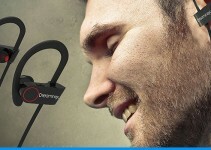 It offers great sound despite its small size and is practical for carrying around to your gigs. Weighing only 2.2 pounds (1.0 kg), it is portable and has everything a great audio mixer should have. It has 8 inputs; 2 for mics, 2 for stereo, and the rest for auxiliary returns. It features a 3-band channel EQ based on the traditional British consoles that are known for producing amazing audio quality. The mics preamps are state-of-the-art that cover a wide range of up to 130dB and a bandwidth that reaches 200kHz. Professionally built with the latest technology and tested extensively, it has one of the lowest rates of product failure on the market. This high-quality mixer comes with a 3-year warranty. It is fitted with 48V phantom power that allows you to use 2 condenser or dynamic microphones. Its send and return jacks are used to connect to external effects as well. 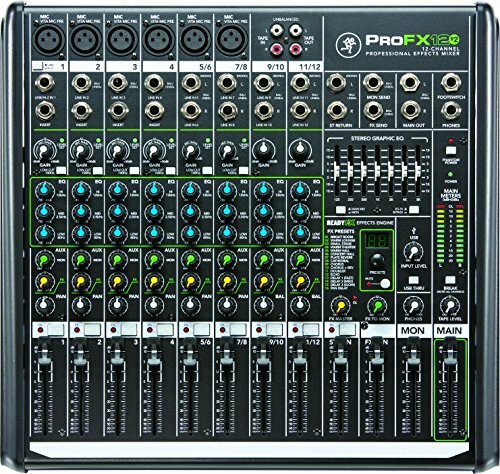 This is a professional mixer with 12 channels and a USB interface for digitally recording your performance or for playback. It has the ReadyFX engine that is used for the delivery of 16 sound effects that enhance your mixing. Featured in this mixer are the Mackie Vita preamps that have low noise and are built for live performances. It is designed with a steel chassis to protect the buttons and knobs. It also has a 7-band graphic EQ used to tune and is bundled with the Tracktion 3 software for music production used with a PC or Mac. 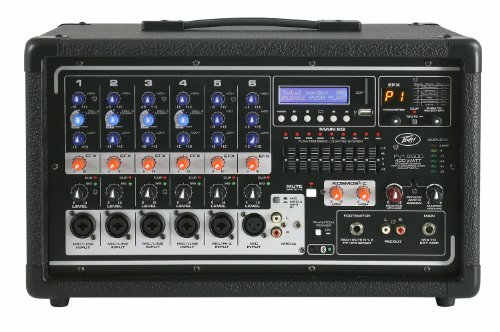 Made by Peavey the PV1 6500 is an all-in-one powered professional mixer with the latest technological features. It brings 400 watts of power to the table, with 6 simultaneous inputs using the Silencer mic preamps – Peavey’s award winning technology. One of the exclusive features of the Peavey PV1 6500 is the Mid Morph EQ which improves the tone and clarity of vocals. Another Peavey exclusive is the Kosmos which provides awesome enhancements to both the low and high end of the audio spectrum. On top of this, there is the Feedback Locating System which is used in combination with the 9 band graphic equalizer. The 24 bit digital effects are icing to the cake, on what is an extremely versatile mixer. 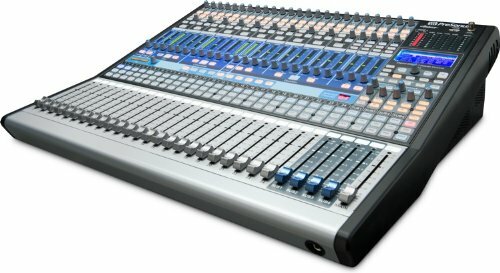 The Presonus StudioLive Audio Mixer is a user-friendly mixer that has 16 input channels with 4 stereo and 12 mic preamps, It also has 4 aux and 2 internal buses. 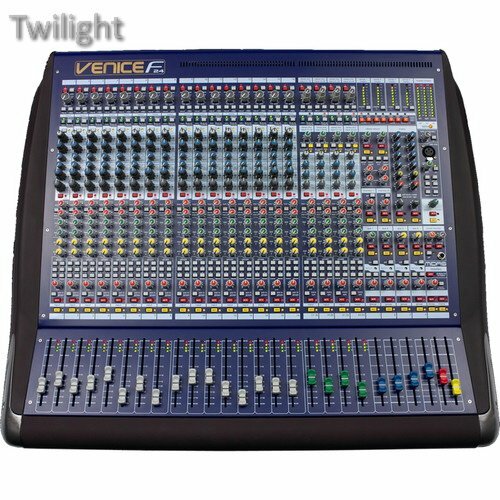 It is ideal for small crowds, and the best mixer in its price range for a studio. It features a built-in FireWire interface for every channel and bus. It comes bundled with a number of apps and software for computer use such as PreSonus Studio One Artist, SL Remote, QMix, Virtual StudioLive mixing software, and Capture live recording app. The main bus has a 31-band graphic EQ and MIDI control. Despite having all these features, it is quite light and can be mounted on a rack. 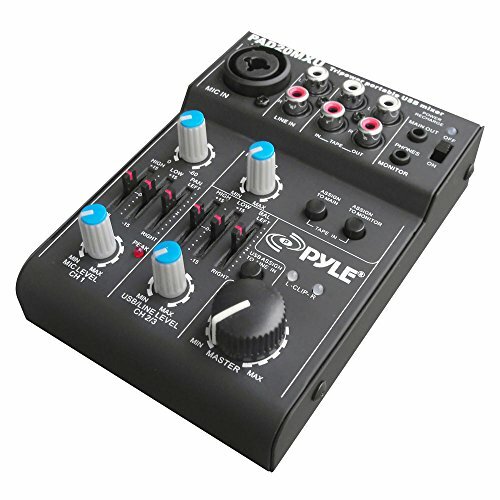 This is a unique audio mixer that is plug-in ready and features a lithium ion battery that is integrated into its form factor. The battery is rechargeable, allowing you to attach it to any USB port to charge. This battery lasts over 4 hours but the mixer can be left plugged in a USB adapter or computer. It is perfect for budding musicians and has faders that are rotary style and are solid and compact. It features a 2-band EQ, 2 stereo inputs, and output monitor jacks. 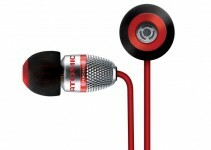 It also has the 18V phantom power for the mic that delivers a smooth high-quality sound. There is also an additional line that is used for external digital recordings. This powerful mixer features 2, 500-watt amplifiers with 14 inputs. The first 6 inputs have a 3-band EQ with sweepable mids while the rest have a 3-band EQ with fixed mid frequency It is the ideal mixer for DJs and bands due to its graphic equalizer and SPX digital effects. It is ruggedly built with a steel case, and can be mounted permanently making it suitable for most environments including road travel. 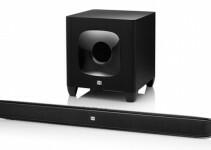 This enables it to deliver high-end quality sound. It features mic preamps that have a wide frequency range, and has the Feedback Channel Locator (FCL) that gives immediate visual feedback. You can use the main left and right outputs for the amplifiers then leave the 500 watts for the main speakers or for monitors as needed. To keep the unit cool, the amplifiers have small fans that work quietly, and the amplifiers use the Yamaha Signal Processing circuitry to optimize performance with Yamaha Club Series speakers. 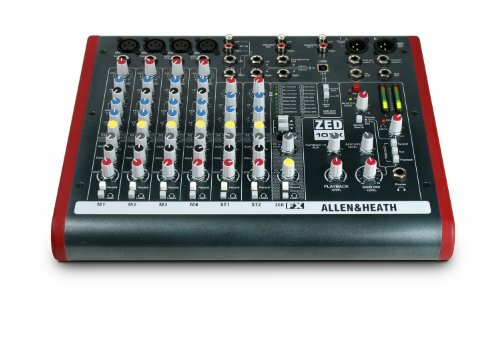 The Allen & Heath ZED-10FX is a small high-quality audio mixer that is easy to carry around for gigs, and is also used to record live and studio performances. It has high impedance inputs designed specifically for plugging in guitars and 16 time-delay effects. These ZED effects are controlled through 3 buttons with 9 display LEDs. It has 2 stereo inputs for MP3 players or keyboards. Bundled in is IK Multimedia’s AmpliTube X-GEAR software for a variety of effects. This software is the first FX modeling software that has a customizable and expandable preamp and system. The system 3-band EQ with MusiQ; the Q factor is for equalizing individual instruments. It has 4 line inputs with 2 of them being Class A FET, and an extremely high input impedance ensuring that loading on pick-ups is minimal, and it has a Class A FET (field effect transistor) high impedance preamps. 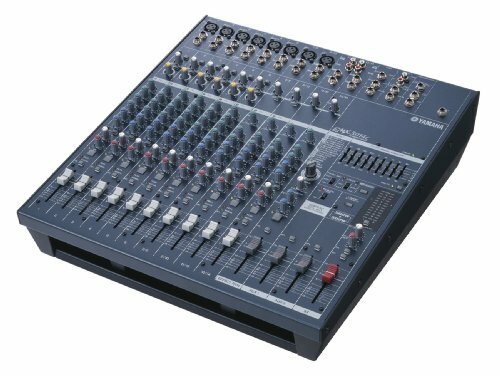 A 48V phantom power for mics and inputs for 2-track stereo playback replay are also featured in this mixer. The USB provides flexibility to get the sounds and music to a computer while the jack socket terminals are used for various configurations. It has a gain switch that boosts guitar inputs by 26dB that caters for low level outputs that are asymmetric and soft like guitar inputs. These features combine for super bass and guitar sounds. 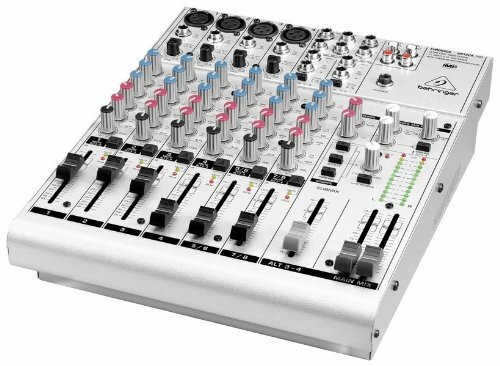 The Eurotrack UB1204 Pro mixer by Behringer gives you a multitude of features in a small, compact and affordable unit. In terms of inputs, the Behringer Eurotrack UB1204 Pro has 4 mono channels, which now include IMP inputs and Behringer’s phantom power. There are also 2 stereo channels, 2 aux sends, 2 stereo aux returns, 2 subgroups and a fader. Each mono and stereo channel has a 3 band equalizer, the sound is great for session music, gigs and production. This stunning little mixer also comes equipped with 60mm (2-2.5″) ALPS faders and everything you need to set up in place with the included rack mounting kit. For the price, this is a great mixer with plenty of functionality to offer. 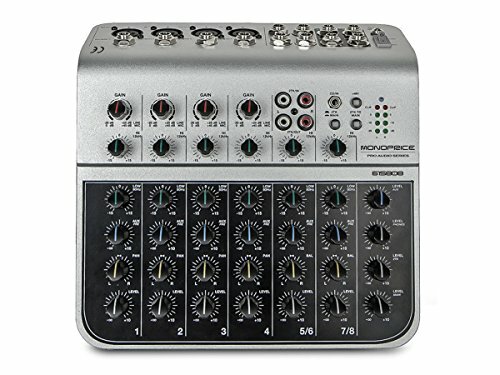 This is an 8-channel mixer that has four XLR mic inputs and two RCA inputs. It has a USB port for connection to a computer that allows output only. It also features a 3.5mm TRS stereo input. There is also 48V Phantom Power provided to all four XLR mic inputs. The Midas VeniceF-24 is specially designed for live performances. It has the FireWire digital interface and pre and post EQ switching. It combines the feel, ease-of-use, and zero-latency of analog consoles with the power and flexibility of digital consoles. Featuring in the VeniceF-24 are 6 auxiliary and 4 subgroups with stereo and mono outputs. Its mics have the MIDAS preamp with -20dB pad and 4-band EQ. The FireWire interface supports 24 x 24 high-quality channels in 24-bit audio. It also lets you connect to a computer through the 1394 port for a multichannel digital link. Through its analog or FireWire input, it allows you to perform a virtual sound check and record a mix. It has a rugged design that is useful on tour and a 3-year warranty. Each mic input and stereo channel has phantom power.